“Hungry Babies Crying” ringtone has a low pitch, rhythmic, repetitive and will grow louder and louder if the baby is not meeting his or her inevitable need: breastfeeding. Baby’s fake cry can sound pretty miserable but at the same time super funny. Well, that’s because the trend of adults is laughing at their child’s “gluttonousness”. Contrary to baby laughter, which is often described with sweet words as “adorable, cute, and lovely”. Mommies and daddies and people on the Internet find baby crying sound utterly hilarious. “Crying” is the first form of communication for infants, they want to pass through the cry to send their hearts and wishes to those around them, especially to their loved ones. Let’s enjoy the cry of hungry super cute this baby! 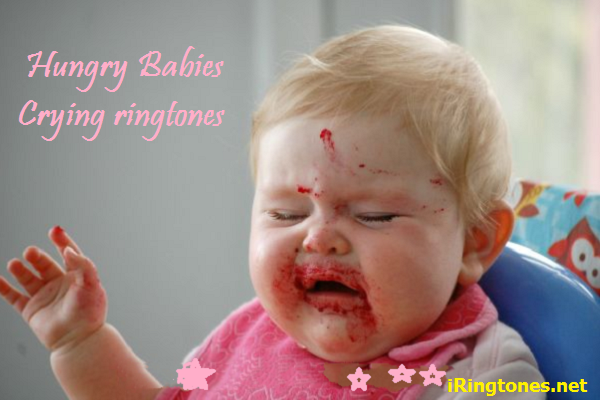 Also, if you do not like these Hungry Babies Crying ringtone, it’s okay because we also have a collection of funny baby laughing ringtones for your kids to choose from. nice ringtones – love it’s!!!! !